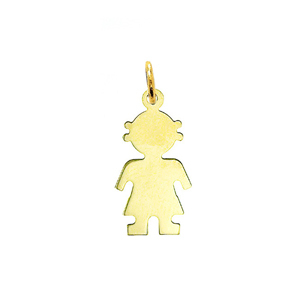 Turn your favorite gold charm bracelet into a beloved keepsake with a beloved 14K Gold Engravable Girl Charm. 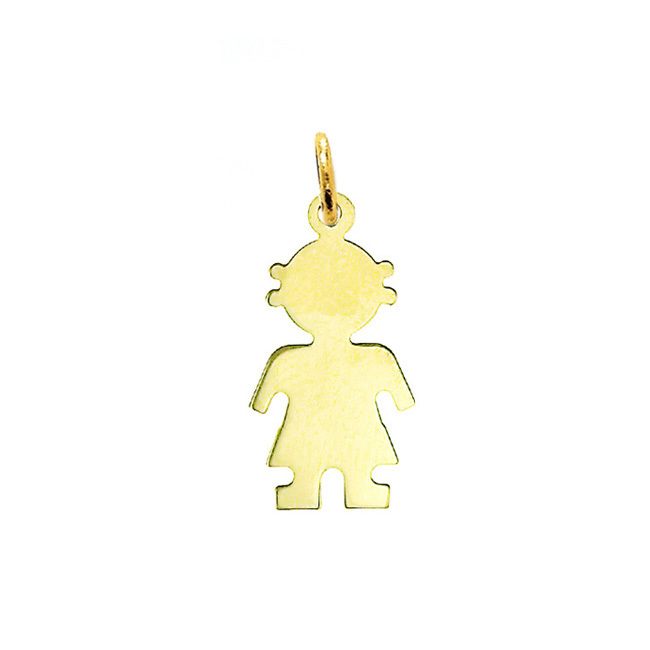 Inspired by the innocence of a young child this Girl Disc Charm reveals the silhouette of a little girl crafted in resplendent 14k gold and finished with a lustrous polish that can be engraved for a personalized touch. 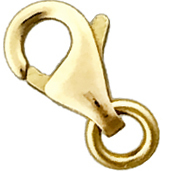 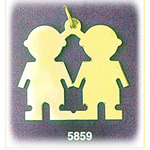 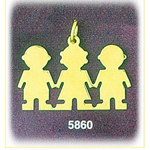 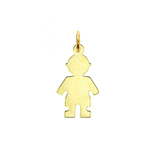 Charm is crafted in 14k yellow gold featuring a polished finish with flat back, it measures approximately (10mm - 3/8") in width by (16mm - 5/8") in height and weighs 1.0 grams, it is a good size for charm bracelet or on a necklace.